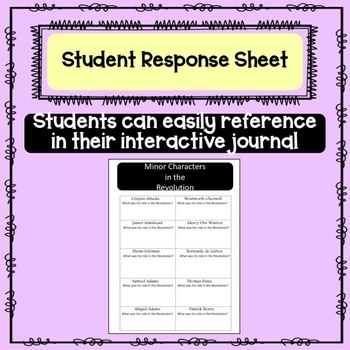 Are you struggling to fit in all the minor characters of the Revolution into your lessons? I know I found it difficult to feature all the people who contributed to the cause organically during my lesson arc, so I chose to cover them quickly with a gallery walk. 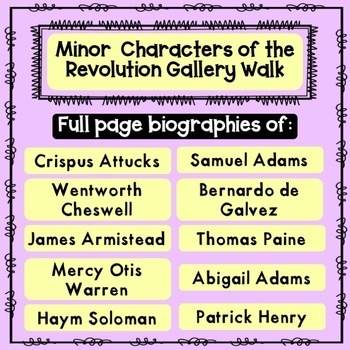 This gallery walk features 10 of the more minor figures of the revolution with a quick one-page biography that the students can read quickly and summarize in one or two sentences. 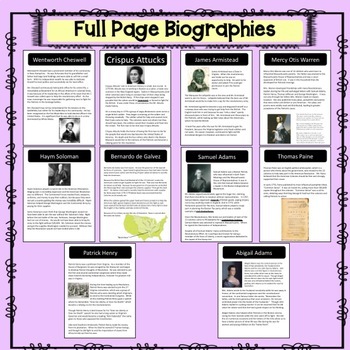 It also provides for the students to make posters describing each individual's accomplishments to add an extra layer to the gallery walk or to make a student created anchor chart.